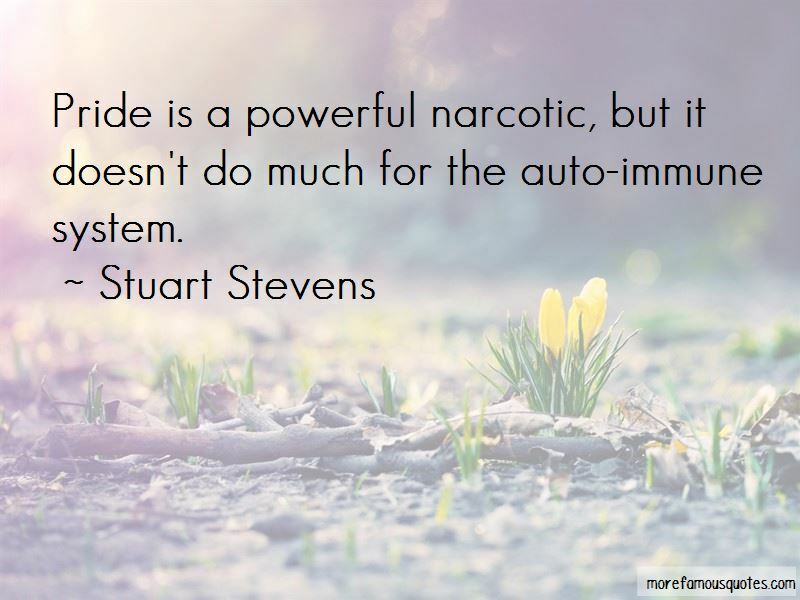 Enjoy the top 2 famous quotes, sayings and quotations by Stuart Stevens. Eating at a new, highly recommended restaurant is like a Very Important Blind Date, a contract with uncertainty you enter into with great expectation battling the cynicism of experience. You sit waiting, wondering about the upcoming moments of revelation. Somewhere in the back of your head is the dour warning that disappointment is inevitable but you don't really believe it or you wouldn't be there. The best eaters are always optimists. Want to see more pictures of Stuart Stevens quotes? 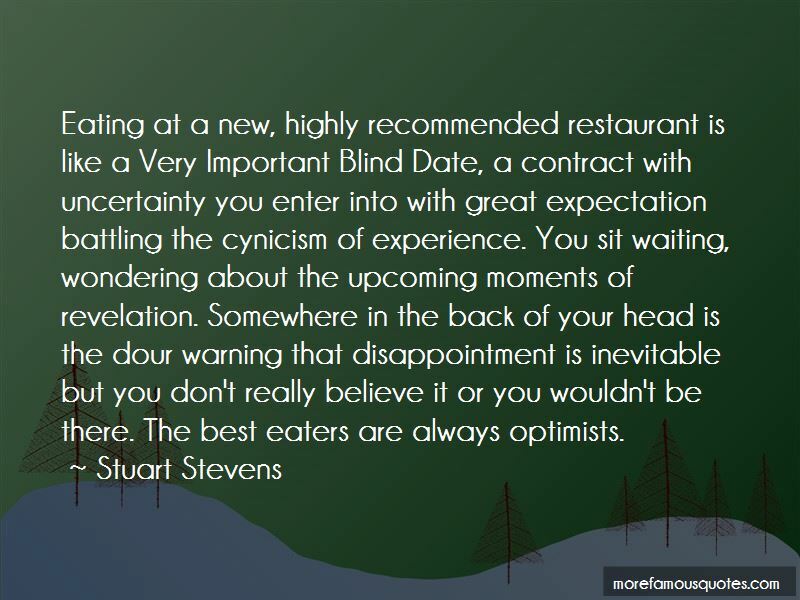 Click on image of Stuart Stevens quotes to view full size.